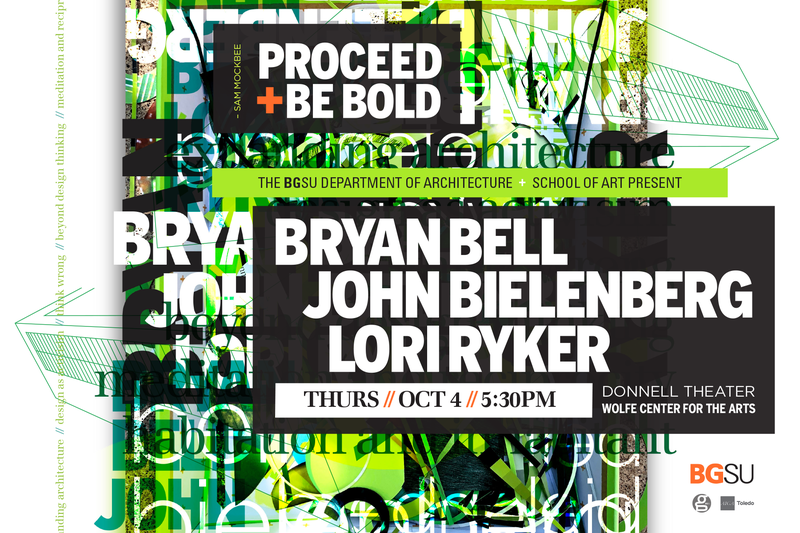 Please join us for a special panel discussion with architects Bryan Bell and Lori Ryker, and designer John Bielenberg. Moderated by School of Art Director Charlie Kanwischer, the panel will address their work in Social Activism, Environmental Design, Design for Good and their connections to the Rural Studio. The event is free and open to the public, and proudly presented in collaboration with the BGSU School of Art and the Department of Architecture.